I've now been doing the FOCUS internship for 4 months. It has gone by fast and every bit of it has been worth it! I have grown so much in my ability to disciple people, speak publicly, study Gods work in depth and I have built some really great friendships. I'm ready and excited for another semester. I can't say thank you enough to all of you for your support thus far. I hope you all have an excellent Christmas! 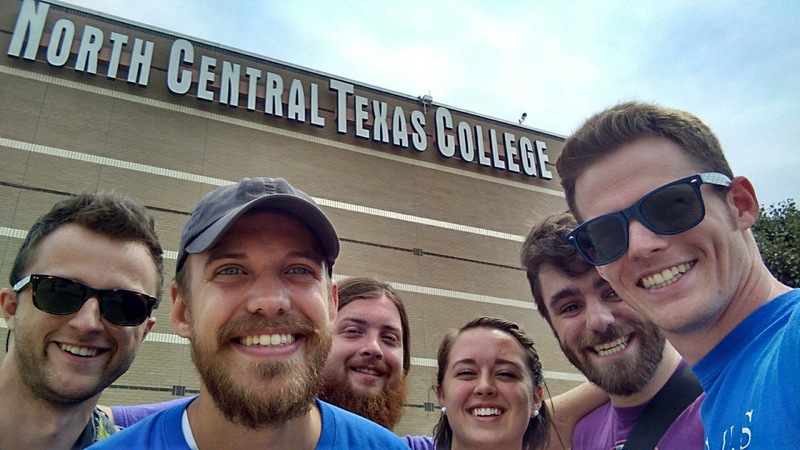 Things have been going great at NCTC. At this point we are now studying the bible one-on-one with at least 6 NCTC students. This is awesome! I really have had a blast at NCTC. The picture above is something we call 'Questions on Display'. This past month we put a couple question up on a white board in the common area and had students write there responses. This went extremely well. Students were so open and engaging with us on what they believe and where they are at spiritually. Through this we were able to set a tone for FOCUS being open to believers and anyone who is struggling with their faith. That's the kind of community that we envision. We also now have a room reserved every week next semester! Thank you for all your prayers. Austin Daniel, John Smith, Troy Coleman, Adrian Vasquez. I want to acknowledge this awesome group of guys. I meet with each of these guys once a week. 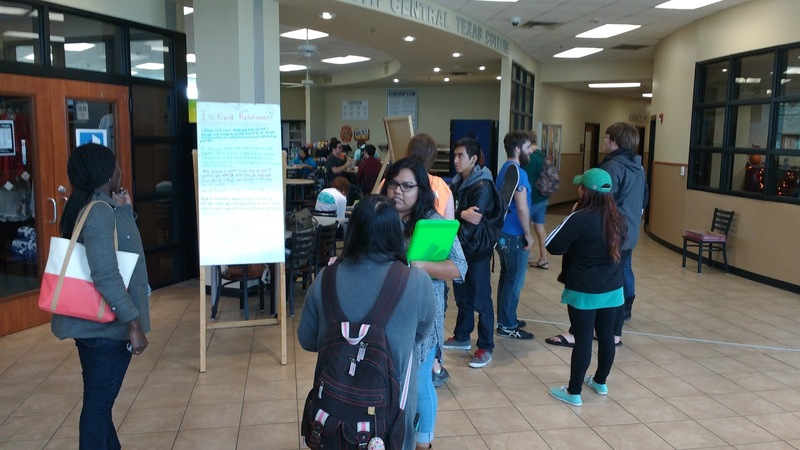 These students lead some of our core groups (bible study groups) and study the bible one-on-one with students at UNT and NCTC. This group of guys play a huge role in our ministry. They are missionaries in their classrooms, dorms, and part-time jobs. They have worked so hard this semester and have been a great team to work with. With this opportunity these students will leave with so many great disciplining skills that they can take with them anywhere, its worth it! It's awesome to see students who will give there extra time in college to reach out to fellow classmates and to making and maturing disciples. Praise God for this group and their discipline and hard work for the Kingdom of God. I'm looking forward to working with them again next semester! 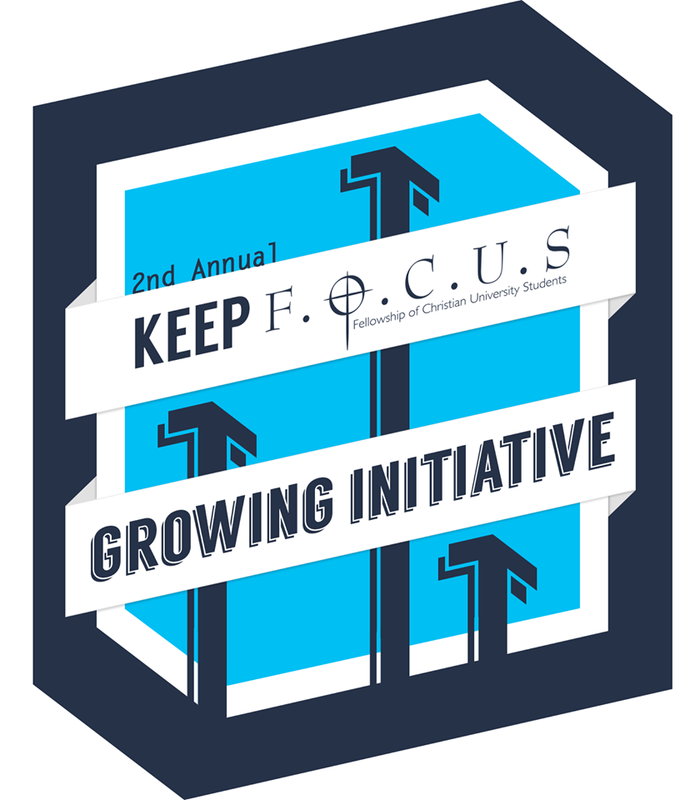 This is also an exciting time of year because this is when we do our Keep FOCUS Growing and Going Initiative! This is our second year to do this. 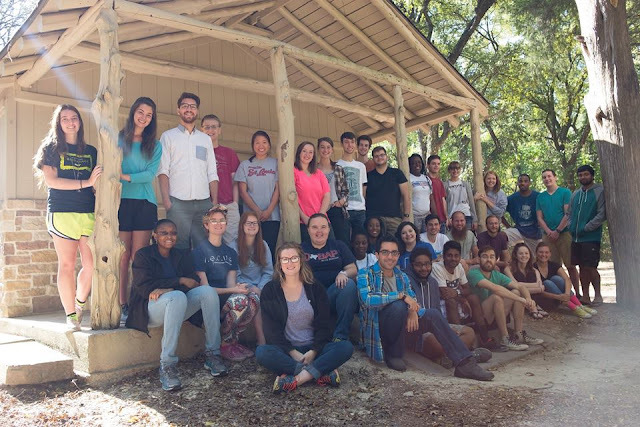 With the funds we raised last year we were able to start two new campus ministry this year! One at North Central Texas College and the other at the University of Texas and Arlington. The UTA ministry has really grown quickly they have a strong presence of international students and are a lively and fun crew. They have a few core groups going now and are studying the bible with many students. Every bit of our time and resources at these campuses has been worth it! 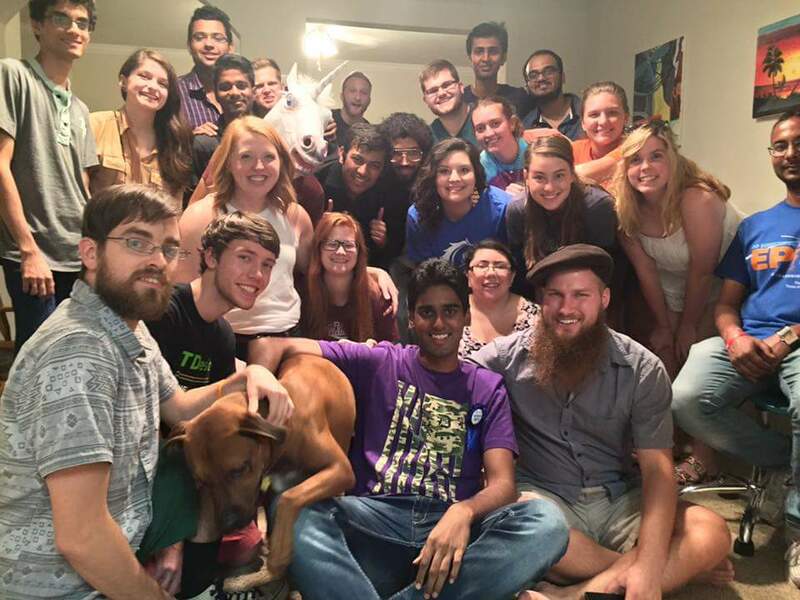 Here are a few photos of the new UTA and NCTC Ministry's! 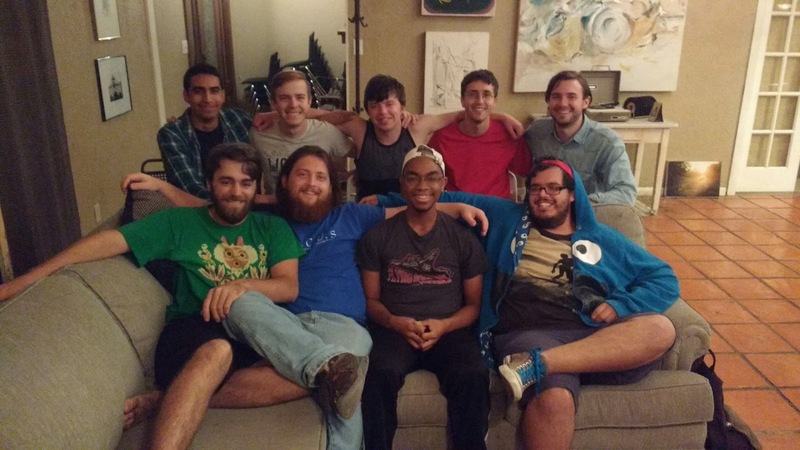 UTA FOCUS student birthday party! The money we raise through the Keep Focus Growing and Going Fundraiser this year will go towards us bringing on more administration employee's, advertising, and bible study materials. Watch our newest video and consider giving a special donation for this fundraiser. Spread the word; share this video on your Facebook and pray about making a special contribution to Keep FOCUS growing and going! It's worth it! Be praying for our students as they go on Christmas break. Every students family situation looks different. Be praying for safe travels and that the things they have learned about Christ this semester will continue through the break and be shared with family. A praise, I completed my first sermon and I think it went well! Here is a Link if you would like to listen to it. Be praying for our fundraiser and that we reach our goal! Pray and consider giving a special donation. To learn more about this fundraiser and how to give go here. Hey Aaron! Glad to see that Questions on Display went well at NCTC. 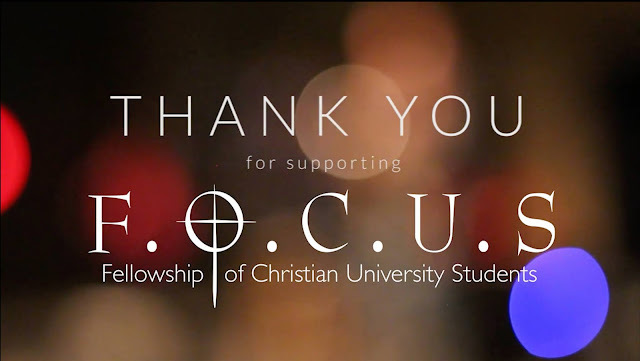 I am excited that FOCUS is gaining a reputation on that campus as a place where students can make friends, ask tough questions, and grow spiritually. Also, what a blessing that we will have a consistent room available next semester! I am looking forward to seeing how God works through our NCTC students.